Brownhills West Station on the Chasewater Railway. 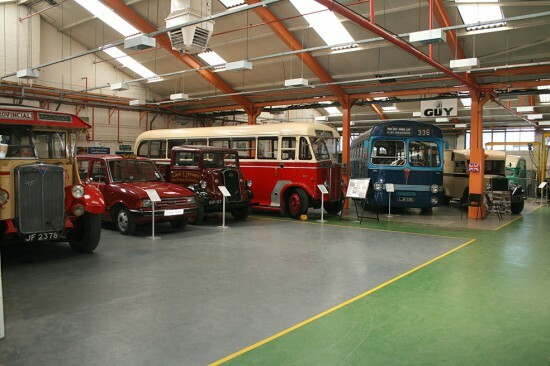 The new home for the Aston Manor Road Transport Museum. 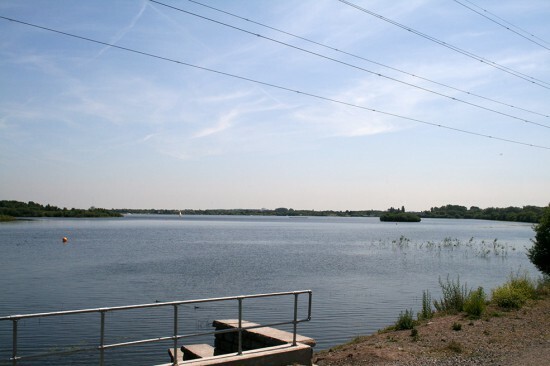 The lake at Chasewater Country Park is a man-made reservoir for the local canal. 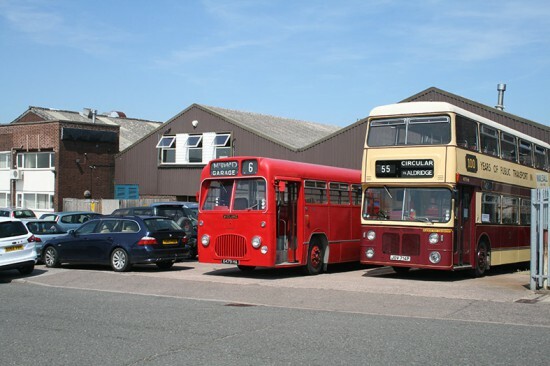 Had a good day out with Transport Trust members last Thursday at the newly-moved Aston Manor Road Transport Museum in Aldridge (near Walsall) and then a bus trip (one of theirs) to the Chasewater Railway. Never been before and impressed. AMRTM have had massive problems with the council over their previous accommodation and need support to continue on their present new site. Railway was fascinating. It's based in a country park and runs around a lake at Brownhills that was man made as a reservoir for the Wyrley & Essington Canal (not heard of that one before!). 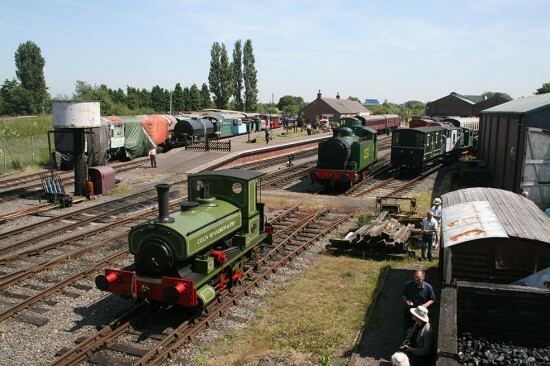 Great little line with good facilities and lots to see in the sheds, though these are not usually open to the public. Leisurely train ride around the lake behind a Class 03 diesel. Useful chat with the manager, too. Then bus back to Aldridge. Hot and sunny day which added to the enjoyment.